Do you have kids or grand kids aged 5-11? Do you want to let them have some fun while learning about Province Lake and the Watershed? This is a free event on August 11. Click on this link to view the flyer. We hope you’ll join us for our next “Water Talk” on Wednesday, June 20, 2 PM, at the Acton Town Hall (35 H Road at Route 109). 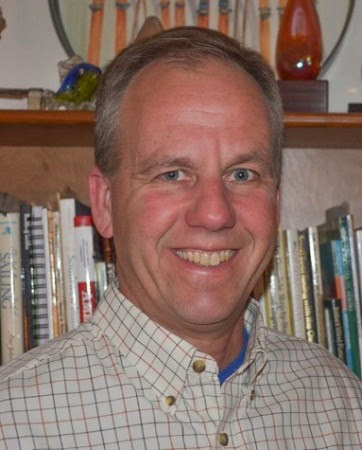 Don Kretchmer, a Certified Lake Manager at DK Water Resource Consulting, will present “What Makes Good Lakes Go Bad and What We Can Do About It”. Learn more about the impact we have on the health of our lakes, and how we can become better lake stewards. If you live on or near a lake you won’t want to miss this talk. Don will share interesting information about how lakes function and the easy things you can do to help keep them healthy. “Water Talks”, a free series of presentations by experts in their fields, is a collaboration between the Acton Wakefield Watersheds Alliance, the Gafney Library in Sanbornville, NH and the Acton Public Library in Acton, ME. WE HAVE A NEW BABY LOON! A new baby loon was born on July 1st on the nest we put in each year. 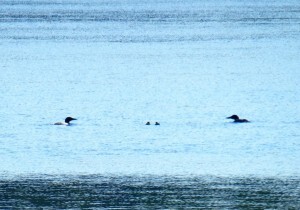 Please boat with caution if you see the loons as the little one will be with them. Here are some photo’s thanks to Thom and Jan Townsend. Tomorrow morning (Sunday July 31) 11-year-old Noelle Gregoire will be swimming across Province Lake for the 3rd year to raise money for Children’s Hospital in Boston. You are invited to come out and cheer her on – not only for her swim, but also for her recovery from spine surgery last November. Noelle will use all the donations she receives to purchase toys for Children’s hospital to donate to their young patients as well as grant wishes to ill children in need. Laps-4-Backs T-shirts will be available for sale after the event. IT’S A BOY! NO IT’S A GIRL! MAYBE IT’S BOTH! We have some exciting news to share for all of us around Province Lake. 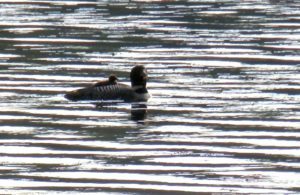 The Loons have had a pair of chicks! This is the first time that we are aware of this occurrence. Although very exciting to us on the PLA Board, the folks at the NH Loon Preservation Committee, and possibly to you, WE NEED YOUR HELP! PLEASE, PLEASE, PLEASE do not go near them. Keep a very keen eye out when driving your boats and skiers … the young ones are not able to react like the adults can. Also, please spread the word to watch out and stay clear. If you must see what the chicks look like, check out the photo’s below and on the home page scrolling photo’s, compliments of Thom and Jan Townsend with a zoom lens camera. You will also start seeing red warning signs as pictured below. One final note … a huge thanks goes out to Steve and Mary Craig and Thom and Jan Townsend who every year put out the nest and signs and monitor what is going on. There is finally success for the proud Grandparents. Again, please help us out and educate others! And watch our website and Facebook page for any additional news. Photo’s are from Thom and Jan Townsend, copying, re-posting etc. is strictly prohibited without their written consent. This is a summary of the data that was gathered from all the water samples that were taken throughout the 2014 year. Thanks a lot to the efforts of Steve Craig and the UNH Cooperative Extension for gathering these samples and getting them analyzed. The latest and greatest newsletter is now available. It is full of all types of information about programs etc. that will be occurring around the lake as well as other interesting facts and tidbits. You can check it out by clicking here. Enjoy! Thanks to some great photography from the Nickerson family, I can share with you some photo’s of two baby eagles that were in the nest along Point Road. 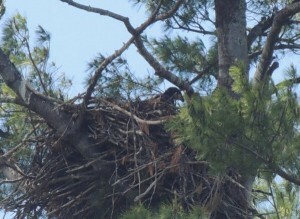 One photo only shows one baby in the nest and the other shows the two of them on a limb .. see below. 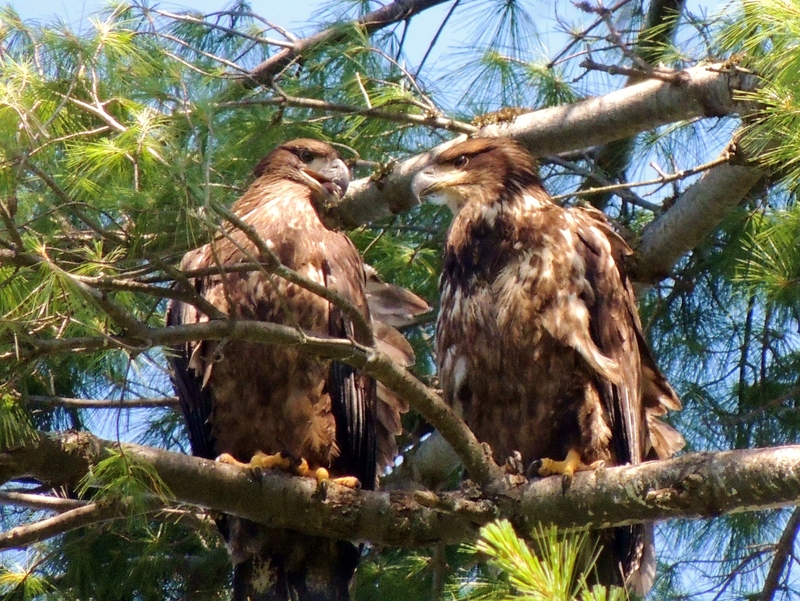 These were taken over the last couple of weeks and I am guessing they may have flown the coup by now. 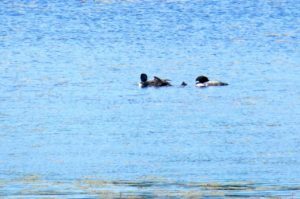 ​Also, a fellow member forwarded the below article about Loon’s that has some good information that you should share with families and friends. 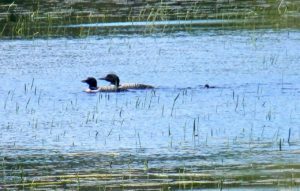 MOULTONBOROUGH — Loons may be protected by the government, but loon preservation specialists say lots of disruption and death of young birds occurs over holiday weekends. 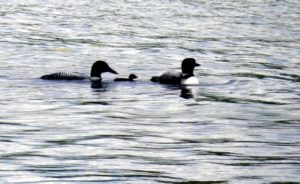 “People see the loons, and they want to get closer because they are cute, or they don’t see them at all and they hit them crossing the lake,” said Harry Vogel, senior biologist/executive director of the Loon Preservation Committee. 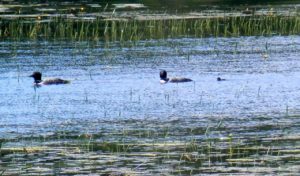 This July 4th weekend, the committee is asking people to play it safe when it comes to loons on New Hampshire lakes and ponds. 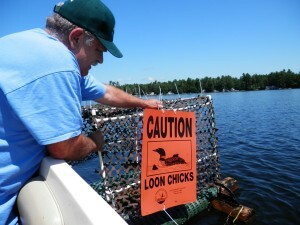 Vogel said boaters should stay at least 150 feet away from adult loons and their chicks. 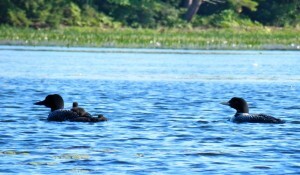 Loons, a threatened species in New Hampshire, are protected by state and federal laws from hunting or harassment. 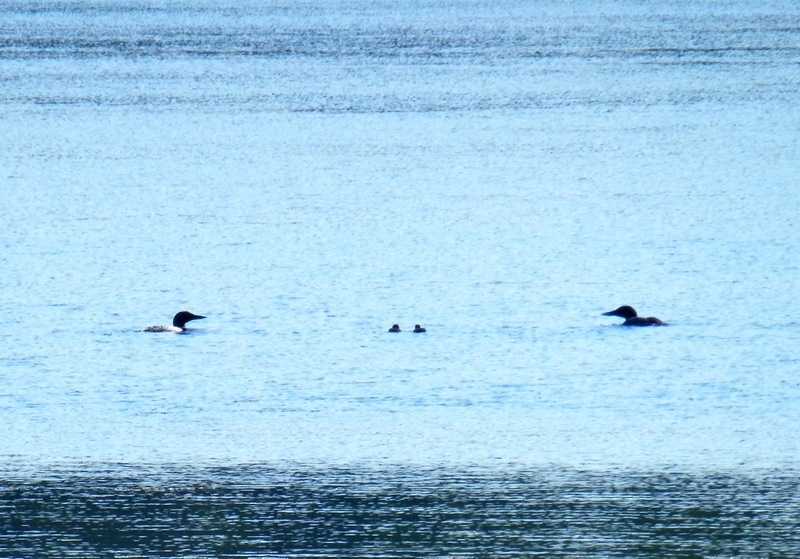 The Loon Preservation Committee was created in 1975 in response to concerns about a dramatically declining loon population and the effects of human activities on loons. 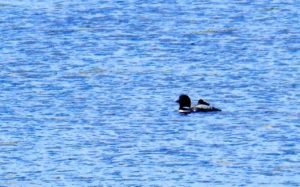 Its mission is to restore and maintain a healthy population of loons throughout New Hampshire, to monitor the health and productivity of loon populations as sentinels of environmental quality, and to promote a greater understanding of loons and the larger natural world. For more than 35 years, the Loon Preservation Committee has undertaken state-wide monitoring, research, management and outreach to preserve loons and their habitats. The committee has a large grassroots network of more than 1,500 members and volunteers.Last year, the Loon Preservation Committee recorded 157 loon chicks hatched, but nearly a quarter of them did not survive, Vogel said. Vogel also urged anglers to use non-leaded sinkers and avoid poisoning the birds.The Legislature has ruled that all lead sinkers under 1 ounce must be replaced with non-lead sinkers by 2016. The use or sale of lead sinkers weighing one ounce or less is already illegal in New Hampshire, as is the use or sale of lead jigs (weighted fishhooks) less than one inch long. What will change June 1, 2016, is that it will become illegal to use or sell lead jigs more than one inch long. 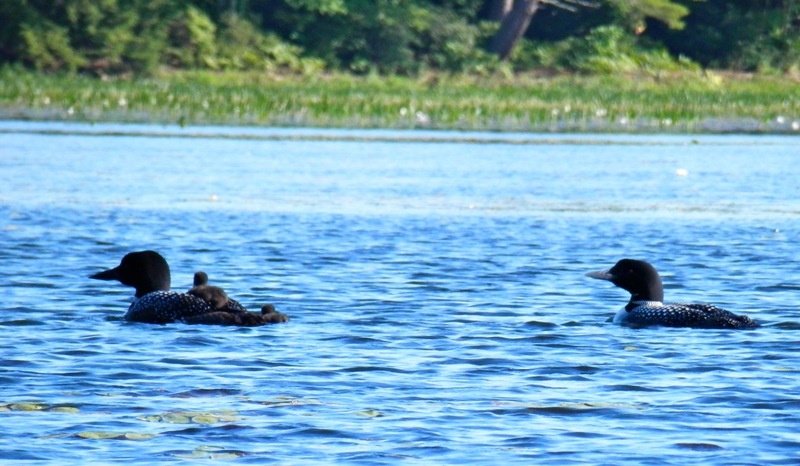 If you are hosting or meeting visitors from other states who will be fresh-water fishing in New Hampshire, don’t let them be caught unaware, and help protect New Hampshire’s loons. PLA Boat Parade Is Back! 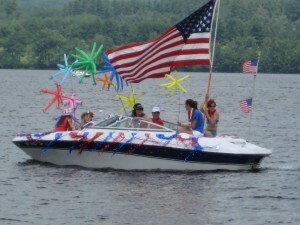 A fellow laker has offered to organize the PLA Boat parade … it has been several years since we have had the fourth of July boat parade, so it is nice we are going to give it another go. The parade will be this coming Saturday the 5th of July and will start at 1:00 over near the Province Shores Campground. So, get the kids and family together and get your boat all decked out and meet up over near the campground … its a great way to show your lake and American spirit.